Kombucha: A Drink For Your Health? Would you spend a few bucks for an elixir that can reportedly give you a good night’s sleep, aid in weight loss, promote hair growth, and even prevent cancer? Celebrities like Madonna, Gwyneth Paltrow, and Halle Berry reportedly make this so-called fountain of youth part of their high-profile lives, but what is kombucha anyway? This fermented tea may be hot now, but it’s not exactly new. Made by fermenting black tea with a thick, mushroom-like culture of yeasts and bacteria, kombucha is said to have originated in ancient China and has been savored for centuries to (supposedly) keep the body healthy. Kombucha, which was once only found self-brewed, is now readily available at local stores. Brand versions of the tea like Synergy, can be found in bottle form, appealing to those not wanting to deal with the fuss or mess of preparing kombucha at home. Celestial Seasonings also offers their own variation of bottled kombucha made with “clear Colorado water.” And for those needing a quick pick-me-up, Celestial Seasonings also offers a kombucha energy shot that’s fueled with guarana and ginseng. With kombucha more accessible than ever, it’s no wonder many are curious to try it. “However, when it comes to hard science on these topics, there is little to be found,” he adds. According to the American Cancer Society, “no human studies have been published in the available scientific literature that support any of the health claims made for kombucha tea.” The organization also points out that since preparation methods can vary, kombucha may include contaminants, such as molds and fungi, which can cause illness. Nutritionist Franci Cohen says to think twice before consuming kombucha daily. Cohen also points out that kombucha contains 0.5% of alcohol and if it sits too long, the percentage can go up as it continues to ferment. Those hoping kombucha can help reach weight-loss goals may also want to look carefully at labels. Medical experts say that some brands that have sweetened flavors to mask the “sour” and “vinegar-like” taste of kombucha can pack on the pounds. 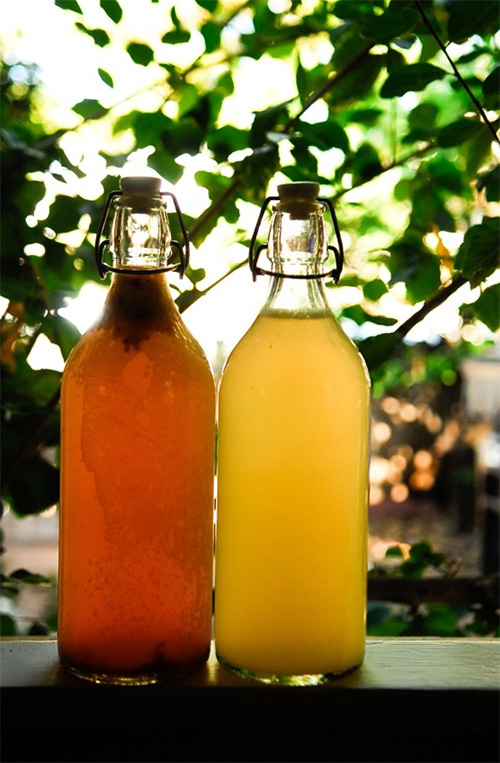 Want to give kombucha a try? It’s recommended to first seek the advice of a doctor to ensure the tea won’t cause any potential health complications. And while buying a prepared, bottled version is always a safer option then attempting to brew at home, it’s also important to understand what it cannot achieve.